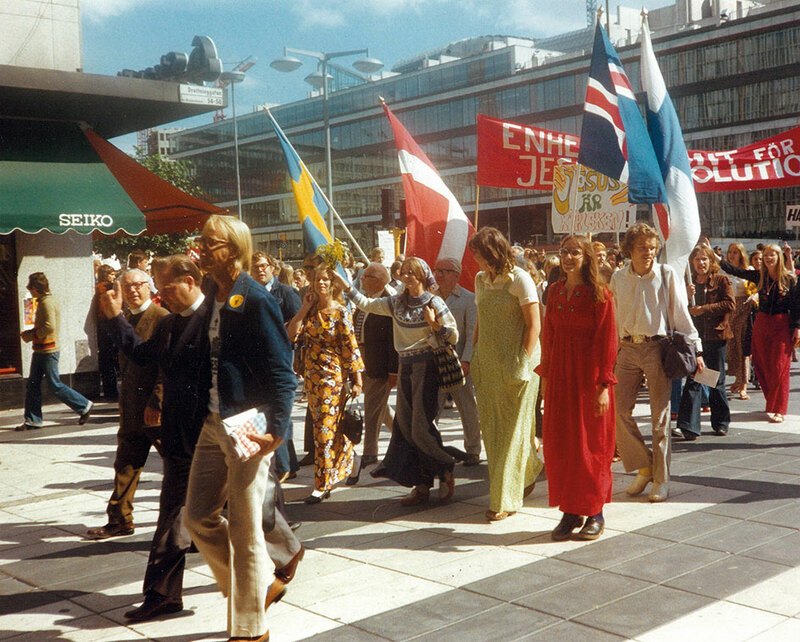 The Jesus movement in the 1970’s impacted Sweden quite a lot. Lonnie Frisbee and other American Jesus hippies visited the country, multiple communities called “Jesus houses” sprung up, and Jesus people were evangelizing in the streets and parks. People like Ylva Eggehorn, Stefan Swärd and Ulla Österjö-Jansson arranged Jesus conferences and Jesus marches – no wonder they were called Jesus freaks. In my hometown of Uppsala, a theology student called Hans Sundberg were impacted by the Jesus movement and started to evangelize. Once, he was sharing the Gospel in the street together with some Christian friends, when an Iranian man who believed in Baha’i started to argue with them. Hans argued back, and their discussion went into sort of a stalemate until Hans’ friend Maria started to speak loudly in tongues. Hans was initially a bit embarrassed (after all, the Bible says that nonbelievers will think that we are lunatics if they hear us speak in tongues (which it is right about)), but he then realized that the Iranian man understood everything Maria said. She was speaking farsi, about how Jesus is the only way to God and salvation. Hans saw prophetically how an arrow came out from Maria’s mouth and gently hit the heart of the Iranian man with peace and eternal life. Meanwhile, a small Swedish town called Surahammar (which means grumpy hammer) was struck with a youth revival as the Jesus movement came to town. Youths from the local Pentecostal church gathered daily in a bakery to pray, study the Word and then hit the streets to evangelize and heal the sick. 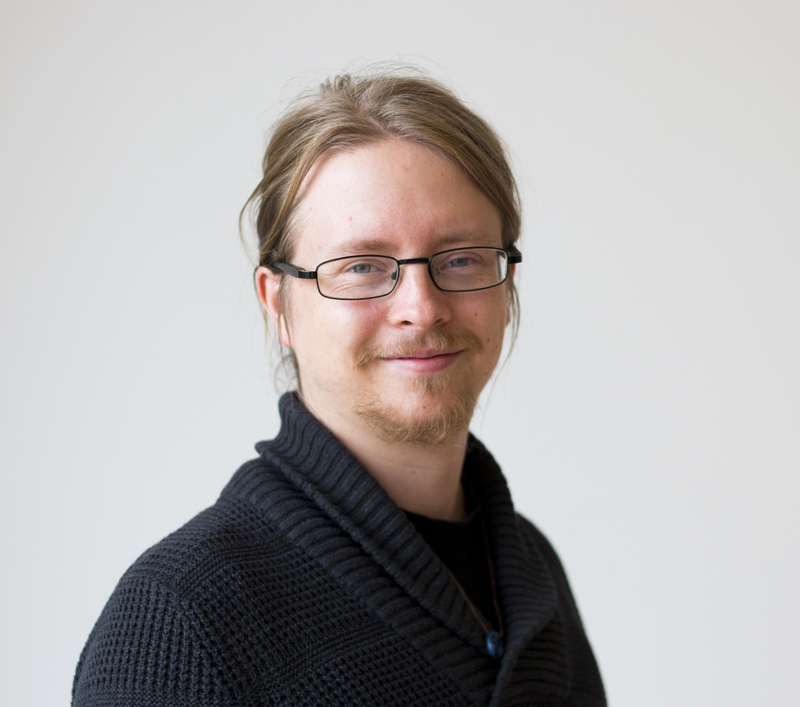 One of the kids involved in the revival was Simon Ådahl, who after refusing military service due to theological reasons became a musician and, eventually, a prophetic evangelist. You can read more about him here. The Jesus Movement in Sweden didn’t organize themselves in their own church as their British brothers and sisters in the Jesus Army had done, but many Jesus people hoped that they would impact the established church. Instead, they were impacted by the established church. The fire chilled down, Jesus houses closed and the evangelists went indoors. In the 1980’s, a new revival movement arrived from America, but this one wasn’t very hippie: The Word of Faith movement. Its leader Ulf Ekman had converted from being an atheist socialist to a Christian capitalist, and his Word of Life church in Uppsala proclaimed prosperity, health and wealth, which attracted many Christians who hungered for revival but also stirred criticism from other churches as well as the secular press. Hans Sundberg had become a Baptist pastor by now, but he and his wife Lotta longed back to the good ol’ Jesus hippie days. They were then excited hearing about the Vineyard movement, understanding that it was rooted in the Jesus revival and that it had a sounder charismatic culture than the Word of Life. They attended a Vineyard-inspired conference in Gothenburg, initiated by Lutheran bishop Bertil Gärtner, where prophet Paul Cain suddenly uttered from the platform “I have a message for Hans and… L.O.T.T.A.” Not very familiar with Scandinavian names, Paul had simply spelled the name God had given him. Hans and Lotta were stunned and after the meeting they met with Paul privately, who prophesied that God would use them in bringing the fire He had started in the Vineyard to the Nordic countries. Hans and Lotta arranged new Vineyard conferences in 1990 and 1991. The latter was attended by Lutheran theology student Michael Liliequist, who had started to become very interested in charismatic theology. He went to a seminar about prayer, when John Paul Jackson spoke up, pointing out where Michael was and said “You’re name is Michael!” He then prophesied: “You have endured hard times, and will endure hard times. The Lord permits this to purify your heart… You will minister with the hands of a miracle worker, by healing autistic children and youths, as well as deaf people.” Michael was awe-struck, having never experienced anything like that. Six months later, Michael made a field trip to Bangalore, India, to write about Pentecostal pastor A. Stephen, who had planted hundreds of churches while also promoting development and poverty reduction through his ministry Cornerstone World Challenge. One day, Michael stepped by a Tamil Evangelical Lutheran church and, being a Lutheran, Michael decided to check it out. By Micael Grenholm in Evangelism & Missions, Signs & Wonders on November 2, 2015 .